Believe me, you do NOT want to miss a sentence in this entire post, even though it’s pretty long. This is probably the most thorough Find Four post in the entire Club Penguin blogging community. You’ll read about my personal story of my time with Find Four, the Find Four craze after the #CPReunion, strategies I have picked up over time (and because classic Club Penguin’s closing soon, this is a good time to reveal them, I suppose) and the importance that this seemingly little game offers. It started in 2010, when I first joined Club Penguin. I fell in love with this game of strategy the first time I had ever played it in my entire life. From here on out, I would constantly play Find Four and improve myself each time. I would say that for my almost 7 years of playing Find Four, I won most of the time, but I have lost a few times because of silly mistakes of not seeing the obvious or competing against other great Find Four experts! Three or four years ago, I had been playing Find Four with some players I had met for a couple of hours without taking any breaks. As a result, I got my very FIRST migraine. It was a horrible experience afterwards. For more than a day, all I could think about was CONSTANT pain in my head and I could NOT think straight whatsoever. Luckily, I recovered, but I learned that I should control my usage of playing in front of a screen better. 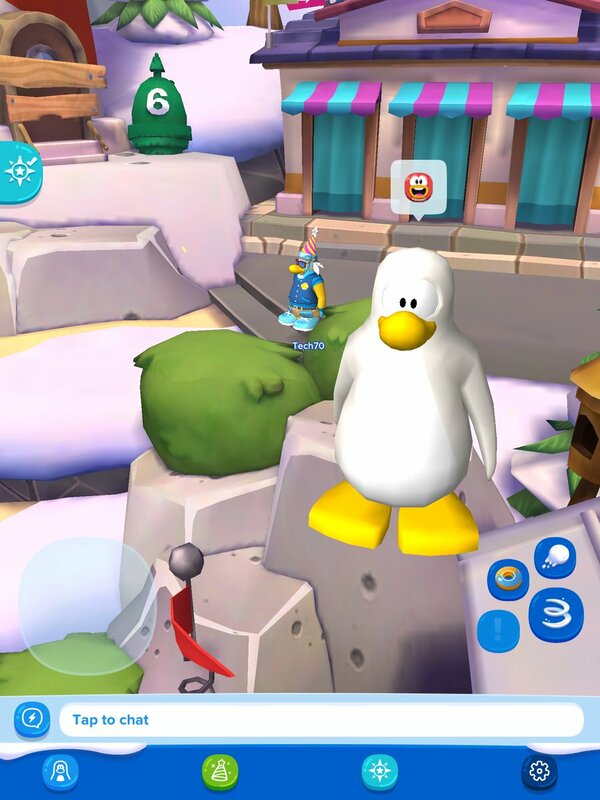 Hopefully, the journey of Find Four with my penguin pals can continue on Club Penguin Island if the game is added someday. The after-party #CPReunion was a total blast! It took place in the Lodge Attic with many familiar, old friends. I ensured each Find Four move I made was done with care… SO MUCH care in fact, that I had spent up to two minutes thinking of just which move to make next. The Find Four craze after the #CPReunion on server Marshmallow really fired up with three people: Perapin, Chilly0ne, and me. I played some rounds with the both of them and they were not able to beat me. As a result, they were very desperate trying to find somebody who could, haha! I played many people during their time of desperateness, but I still was victorious in every match, even with those who were known to be champs. There was a tie-game with Riyita, as well… a bit too close for comfort! I am not too sure how long this session was, probably between 1-2 hours, and was super intense for me and my brain. My second session was not-so-great for my record. I had lost five out of the six matches during this, because my next opponents are pros and did their best! Plus, my brain was already worn out. I had intended to stop playing Find Four after the first session, but then I saw C0mputerguy and Firepup16 on Twitter challenge me to Find Four. Despite the exhaustion from the first round, I still accepted anyway for two reasons: to see who could break my flawless record and playing Find Four on Club Penguin will not be possible after CP closes. After a 10-minute break from the first session, I came online to server Brumby for the second session with C0mputerguy and Firepup16. C0mputerguy was able to beat me, therefore breaking my record! I was very proud of him, but not surprisingly, I was a little bit sad, too. Ah well! Then, Firepup16 tried to win a match with me, but he did not get to. Still, I could tell by the way he played that he was a fantastic player! Then, Tommy58562 decided to have a rematch after he had lost in the first session. His effort paid off, he was able to beat me in our second Find Four match, therefore having a tie! Nice work, Tommy! I started a best-of-3 round with C0mputerguy, and I won the second round. It all goes down to the third round, which C0mputerguy had won! Congratulations, dude! The last person to play with me was Alana Cp, who also beat me fair and square. Another congratulations to this Find Four expert! Just one of the many intense, thrilling Find Four matches! And there’s my iconic wink. Better watch out when that happens. I can literally fly from Australia to America in the time that @Tech70CP makes ONE Find Four move. @Tech70CP I had a great time playing with you! I hope Find Four will be provided in another island called Club Penguin Island. Over the years, I have gained more Find Four experiences and learning new tricks, traps, and strategies. I never read a guide on how to win or anything like that, it’s all from experience. If I make this move, what would the opponent’s move be? This is a question that I ask myself all the time for just about every single move that I make, which is why it takes me so long to play a game. I try to figure out the objective of the opponent based on the move they make. Just one move can cost your victory. For example, it could actually HELP the opponent set up their trap. In fact, the opponent could be WAITING for you to move there. Another costly move to quickly make traps, because your move could allow the opponent to block your potential traps. Even two pieces in a row is an early danger and I closely pay attention to them. After all, it could eventually lead to a four-in-a-row. Do not try to set a trap on your own. Just patiently wait for your opponent to land a piece in a spot that will help you. Always try to set traps toward the bottom part of the game, because you need the earliest possible chances of winning. Never try to rush because of peer pressure or something, because Find Four requires thinking, which in turn requires time. Think of the offense versus the defense in sports. It’s like that in Find Four too. Based on the circumstances in the game, should I make a defensive move to protect myself from the other player’s trap? Or should I make an offensive move and set up my trap? Many times, you have to decide one way or the other. Sometimes, a move could serve both purposes… hooray! What’s the big deal about Find Four? Find Four is one of those treasured games that is very easy to play, because the objective is simple and trying to reach that objective is comprehensible, in comparison to other games such as Mancala. Even so, Find Four challenges your mind. You are forced to think for your moves as well as the predictions of your opponent’s thinking. Also, it is educational in the sense that it is a mathematical game that depends on logic to win. And Find Four is fun, ’nuff said. One of the most significant outcomes of playing Find Four is your increased experience with trying to predict what is coming next based on the circumstances presented, whether it be in a game or a situation in your life. Additionally, other players can be an inspiration for you to improve your gameplay and eventually be as good as they are. Having fun with others while teaching and bettering skills with an easy-to-understand game… Find Four is a meaningful multiplayer game. Let’s hope that our Find Four days as penguins are not numbered. Club Penguin, please move Find Four over to Club Penguin Island. Club Penguin Island will not come until later this month, according to Megg. Therefore, let us enjoy what classic, Flash Club Penguin has to offer before we no longer can. Think of our original Club Penguin like a museum, because in the future, it will no longer be used due to its inaccessibility. The activity of building this snow/sand castle will be left on the old island. Enjoy the little touches to the island, here and there. Read the yearbooks, stories, Book Room Writing Contestants’ stories, and Captain Rockhopper’s Journal. Relive memories, check out some classic tales, and just soak yourself into some good, entertaining stories. Play mini-games. Do the classics like Hydro Hopper, Paint-by-Letters (whoops, wait a sec, that game discontinued a couple of years back, never mind *sigh*), Catchin’ Waves and more! Especially play the multiplayer ones, like Find Four, Card-Jitsu, etc. It’s only a matter of time before these games that have defined the Club Penguin experience will be nonexistent from the original Disney’s Club Penguin. Waddle through the rooms, reminisce their long history (especially the rooms that have been practically untouched by change, like inside the Lighthouse), and pay attention to those little details that make characterize that room. Recall some memories as you waddle through the rooms. Your pet Puffles will stay on the original island, while the penguins will move to the new one. Be sure to spend time with them before the separation between the owner and the pet occurs! While Club Penguin Island is still not released for you, appreciate the original Club Penguin rather than focus the majority of your attention on the upcoming game. 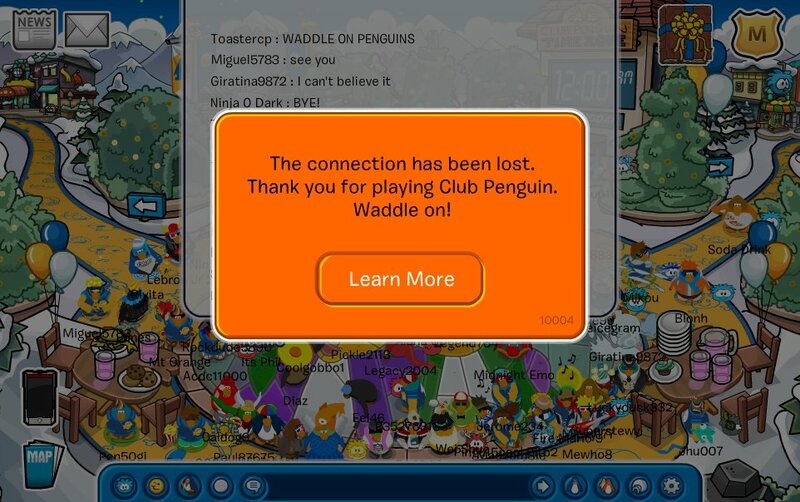 🙂 Also check out these fun, random things you must do before the closure of the Flash game (I wrote this even before Club Penguin Island was announced).